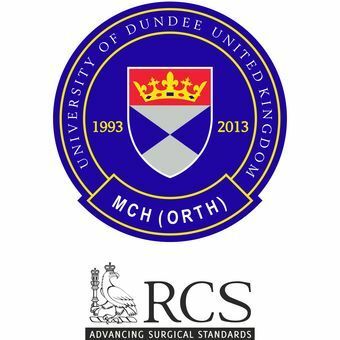 The Master of Orthopaedic Surgery (MCh Orth) Course at the University of Dundee which has already provided education and training for hundreds of orthopaedic surgeons around the globe is celebrating its 20th anniversary with the award of Official Accreditation from the Royal College of Surgeons of England. The MCh Orth course was established in 1993 and has been led by Professor Rami Abboud since 1996. It now has over 370 graduates spread around the globe, mainly in India. The accreditation from the Royal College of Surgeons of England is the latest accolade for the programme, which is based in the TORT Centre of the University's Medical School. “The award of accreditation from the Royal College today is extremely important and I am particularly pleased that it has come as we are celebrating the 20th anniversary of the MCh Orth Course,” said Professor Abboud. “We have a very strong record in attracting orthopaedic surgeons from all over the world to Scotland, and awards like this, being the only face-to-face course accredited by the College outside England, will only strengthen our reputation as a leading course in a very competitive field”. Students on the MCh Orth course work closely with the University’s Institute of Motion Analysis and Research, one of the leading facilities in biomechanics and motion analysis worldwide.